Can there ever really be universal values? Is democracy inherently the best political system, or is it just another ideology? What is the role of the international labor movement in answering these questions? How should women represent themselves as part of the labor movement? Based on my impressions of this conference, I’d like to try to answer each of these questions both according to the participants and in my own reflection. These reflections are informed by the conference and by my own experiences working with labor movements in the US. I don’t have an extensive basis in labor movements in Eastern Europe, which is part of why this conference was so intriguing, and partly why I hope these reflections might open the door for a broader discussion of labor movements not only in postsocialism but in a postsocialst, neoliberal world. Can there be truly universal values? This was a recurring theme amongst presenters at the conference. 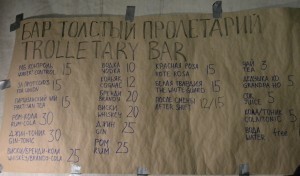 Usually, they referenced democracy, freedom, equality, solidarity, and justice, like the organizers. Additionally, internationalism and sometimes socialism were referenced as part of these ideal values. This may seem like an annoying exercise, but take a second to define these ideas for yourself – even the ones that sound exclusively relevant to the labor movement. When you think about freedom, do you come up with phrases like “freedom from…” or “freedom to…”? When you think about equality, what are the stakes – wealth? gender? immigration status? sexuality? age? access to freedom? Does the idea of “solidarity” have meaning outside of labor movements and Polish revolutions? I’m clearly projecting some of my own prejudices here, but in general I’m concerned about the relative definitions of such terms. Of course they don’t mean the same thing to different people. But at this conference – and others like it that I’ve attended – they are thrown around as “universal values” toward which we should all strive. What makes a value “universal”? Anthropologists tend to suggest that what makes something “good” or “right” in one context doesn’t make it “good” or “right” in another – this is the underlying idea behind cultural relativity, in which we stop comparing ourselves to others based on our own standards. This doesn’t mean that we shouldn’t ever strive to achieve freedom, equality, solidarity, and justice, we just need to be sure to define exactly what we mean by these before we present them as facts. 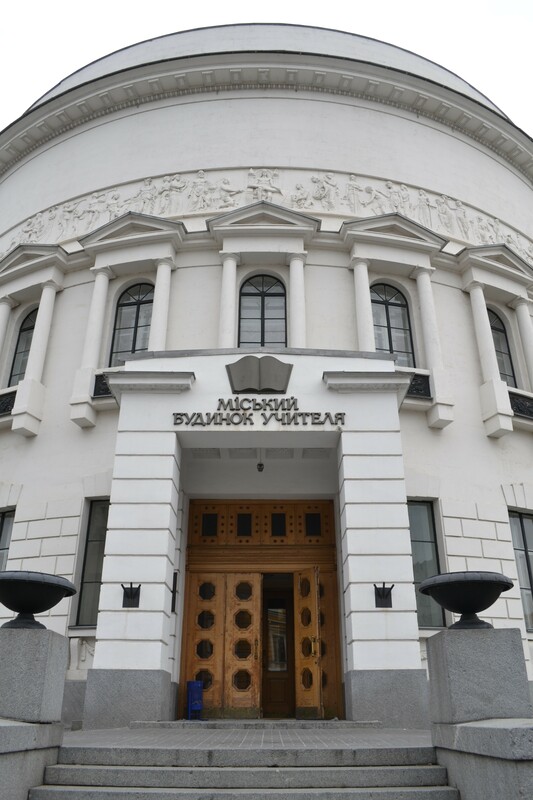 Site of the conference: “Teacher’s House” or Pedagogical Museum building was the meeting place for representatives of the Ukrainian People’s Republic from 1917-1918. I think that the issue of the use of violence in revolutions can be a good frame for this discussion. At the conference, violence came up a lot, in discussions about the histories and presents of labor movement repression, as well as in the context Stalin’s and other dictators’ uses of violence in the name of the state. One presenter differentiated between “state violence” as an indiscriminate use of force against a whole population, while “guerrilla fighters” or actors in cause-based violence know exactly who their targets are, and people are killed because they deserve it. Some presenters identified themselves as pacifists, and others suggested we only discuss violence in the past, as we should be condemning all use of violence now. I can’t imagine a context in which a discussion of the use of violence in protest and revolution is an easy conversation, but my impression here was that each person had their own idea about the use of violence, and a lot of them assumed that this idea was shared. I don’t think it is. Just because violence is seen as a negative issue and freedom, equality, solidarity, and justice aren’t, we should still be having a conversation about these latter concepts – to me, they can be just as controversial and even divisive, and assuming universality is detrimental to putting them into practice. Is democracy the best political system? Democracy is another example of an assumed universal that isn’t. First, there are various models of democracy (like representative or direct democracy), and then there are the ways “democracy” is practiced. This conference fluctuated between the two: while “democracy” is lauded as one universal value to strive toward, it was also criticized rigorously in discussions of European Union practices. Ukrainian leaders are set to sign an association agreement with the European Union on November 28. This would require the Ukrainian regime to implement certain changes to make it more in line with European policies, including a free trade zone, educational reforms, and changing the labor code. 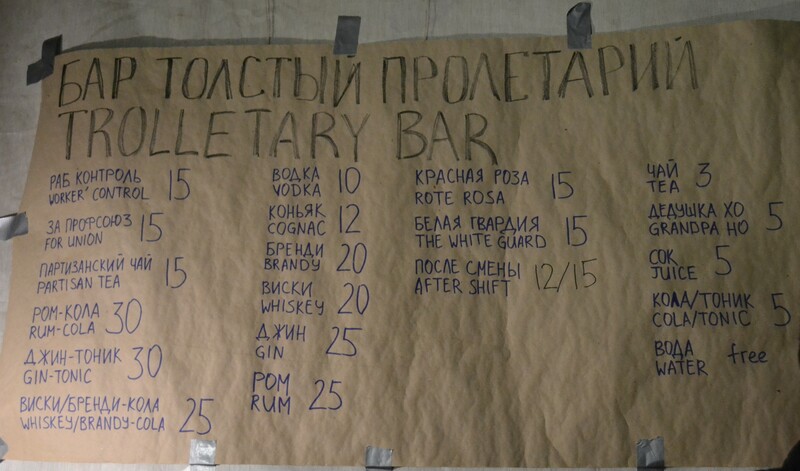 The current labor code allows workers to strike for social and economic interests – like getting paid the salaries owed to them (this is a major basis for many strikes in Ukraine). The definition of social and economic interests here is much broader than in most of Europe, meaning that EU accession would make it harder for workers in Ukraine to go on strike legally. Most presenters were critical of such changes, suggesting that current conservative and anti-union trends in EU countries are reflected in EU governance as a whole. Because the EU is set up to protect countries’ economic rights rather than to develop the social rights of people, the right to strike – and the potential for strikes to be an effective mechanism of change – is under threat. One of the main presenters pointed out that democracy itself is a constant process, a long-term movement, a work in progress. I think this process has to include de-linking ideas of freedom, equality, and justice from capitalist hegemony, which currently controls their definitions. It also includes challenging the current forms of democracy that are most valued in today’s society – but how can this task actually be completed? It seems like this is always a discussion for another day. What should the role of the international labor movement be? Or, first, is there an international labor movement? So much about this conference suggests that there isn’t. First, no presenters, from the US or elsewhere, discussed the history of the US labor movement. We can absolutely decenter and challenge US hegemony while also recognizing the amazing contributions of the labor movement in the United States (especially considering how much that history has been suppressed in the US, in the exact same way presenters complained about new Russian history textbooks ignoring the role of labor movements in Soviet history). A truly international labor movement will link coal miners in West Virginia and the Donbas, and auto workers whose factories have been outsourced from Michigan and France, and fast food workers whose experiences at McDonalds are the same worldwide. ** “Internationalism” isn’t a universal value if you only talk about part of the world. Even on a local level, there’s a huge debate about the role of the labor movement – many presenters and participants view unions as apolitical organizations, there to protect workers’ rights but not to get involved in politics. Others view unions as inherently political organizations, as they are engaged in power relations and struggles that are themselves based in politics (myself included: the idea that attending a leftist labor conference is not a political choice baffles me). These power struggles exist even with the labor movement in its current form. 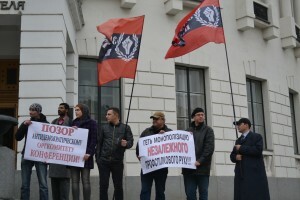 The conference was opened with a picket by the independent trade union Defense of Labor (Захист Праці), a group whose participation in the organization of the conference was denied by the other organizers (Defense of Labor’s press release is unclear on the actual reasons for this denial – they seem to have been more concerned with finding out who was behind this decision and who did not support it (they name the latter)). As a new trade union, Defense of Labor participants were critical of the “old” representation of labor organizing in Ukraine (especially by the KVPU – Confederation of Free Trade Unions of Ukraine), suggesting that new unions like Defense of Labor are necessary in order to really the develop the labor movement in Ukraine. This gets us to the question of representation, which came up in the conference. 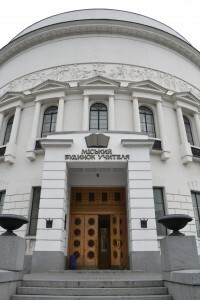 Several times, critics suggested that the presenters were almost entirely made up of professors and academics, and rarely by workers themselves. One union member in the audience even accused a presenter of taking advantage of maritime workers on strike in Odessa to further their cause of building a union and then abandoning those workers after they were fired. While these workers may have requested help creating a union and support for their strike, none of them were present on any of the panels. As often happens, the people who were the subject of the conference weren’t there representing themselves, but instead were being spoken for by erudite lecturers. The makeup of the conference led its audience to believe that workers aren’t ready or able to speak for themselves – and how can we build a new left with laborers at its center if others keep speaking in their place? Gender is another question around representation. I was disappointed but unsurprised by the lack of women on panels at the conference. Most panels I attended had at most one female-bodied participant, and some had none. Counting multiple times per day over the weekend, the audience was made up of 20-25% women at any given time. I was pleased when, at the end of the conference, one of the (male) organizers mentioned this issue (grappling within myself about my own Western feminist bias about how women should represent our/themselves in such settings). “Commons” Journal (whose representatives were on the organizing committee) No. 6: Gender and Work. One of the few panels featuring multiple female presenters was also a panel that considered women’s role in the labor movement with a discussion of domestic workers. These women are largely invisible as their work is not necessarily sanctioned by the state, so they get no social benefits, pensions, or support from labor agreements. The presenter did not say as much, but I think this reflects women’s presence in the labor movement as well – because women’s work is so often confined to the home (as caretakers for their own or other families), labor movement participants might forget that women’s work is also work, especially if these participants represent traditionally male fields like mining or dock work. *** Ever since working with labor organizers in Washington, D.C., I’ve been critical of the white maleness of the labor movement, especially in its representation. In this context, race is another absolutely necessary discussion that, in Ukraine, is mostly talked about in terms of migration rather than representation. The issue of women is seen to be the dimension of women – women organizers representing women workers – rather than as a question of gender that affects all workers. The attempts to strictly gender different kinds of labor doesn’t benefit anyone and helps keep the labor movement divided. The exclusion of female-gendered fields (like education and health care, which were not represented at the conference) from participation in building a leftist, international labor movement is unacceptable. If the organizers of the conference purport to place their ideas in the 21st century, then gender inclusivity has to be a central aspect of this new left movement. People of all genders are negatively impacted by “rapidly changing political and economic conditions,” and a new left that doesn’t recognize this – and that doesn’t attempt to correct it – is no left at all. Labor Union leaders from Belarus, Ukraine, Russia, Georgia, and Kazakhstan. This conference was a first step in building a new left, particularly in the context where any association with leftist ideas has incredibly deep, problematic, and sometimes violent roots. Like many movements, it has the potential to be bogged down in jargon, factionalism, and male chauvinism. But if we use it as a platform to start a discussion of what the post-Soviet left can be, maybe it will become an inclusive, international left that is a base for that society we’d all like to be living in. ending the weekend on such a phenomenal note. 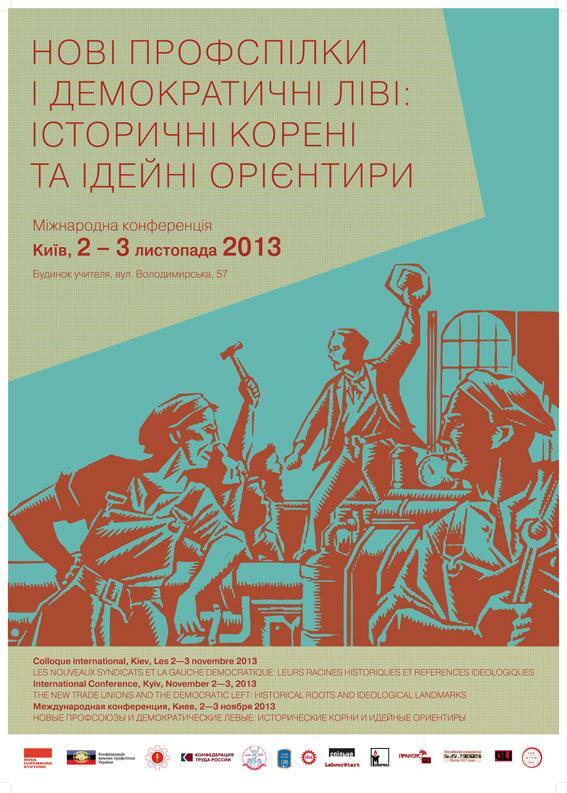 * The conference was organized with the participation of several trade union confederations (from Ukraine, Russia, Belarus, and Georgia), the journal of social criticism “Спільне/Commons,” the Global Labor Institute/Praxis Center, and the group “Memorial.” It was supported by the Roza Luxembourg Foundation. Presentations were in Russian, Ukrainian, French, and English. As a participant, I would like to thank the excellent translators, who worked on group and individual bases to make sure all aspects of the conference were understood. ** The conference featured presenters from Europe and the former Soviet Union especially (Ukraine, Russia, Kazakhstan, Belarus, Georgia; and also France, Switzerland, and Germany), and two presenters from the United States. 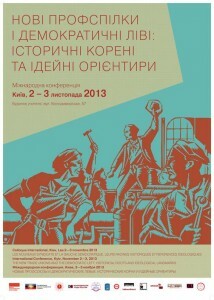 I think it’s remarkable to have this sort of revitalization of labor movements and discussions in post-Soviet space. But an international labor movement needs to include the rest of the Two-Thirds World, too, particularly if we’re going to be talking global capitalism. *** Just as there are male caretakers, there are also female miners, dock workers, etc. This criticism isn’t just to point out that these fields aren’t always as gender-specific as we think, although this is important to recognize as well. I’m not sure I see from the post though how the conference is “the first step in building a new left.” Can you elaborate? Also wondering if female-gendered fields that you mentioned (education, health care) were actively excluded or if they were invited but didn’t come? Each possible answer would demand different analytical questions.